﻿A Mississippi River Adventure. 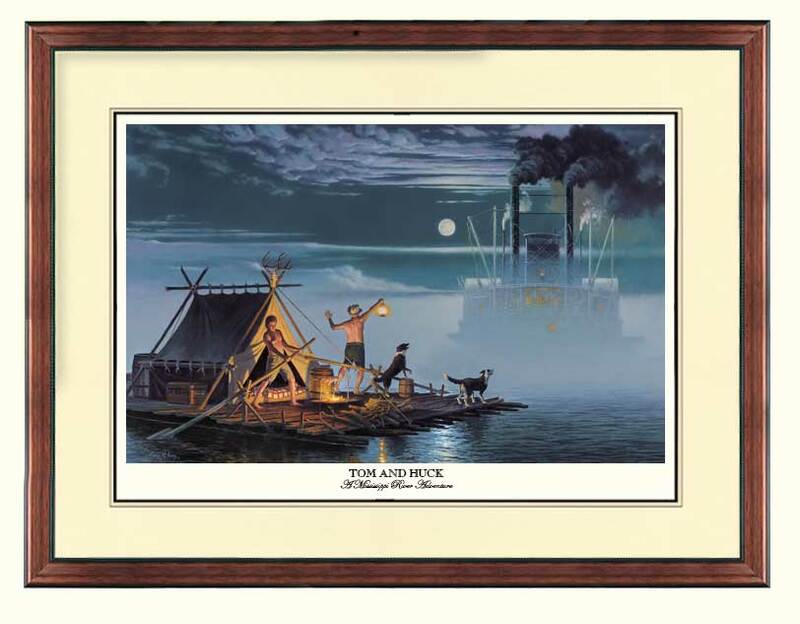 . . Two boys, two dogs, one raft and an on-coming steamboat sailing out of a fog bank in the middle of the night. What will be the outcome? Will the steamboat see the lantern in time? Will the other mate be able to lean hard enough on the oar to pull them out of peril? Will the dogs make enough noise to tell the steamboat that they are ahead? I have seen this type of fog on the river many times in my research outings . . . clear one minute . . . total fog the next. The only issue left is how will the boys and their dogs fair in this encounter.